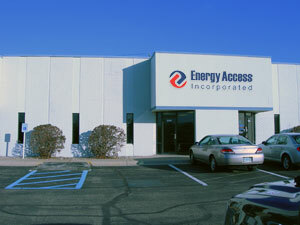 Energy Access was founded in 1998 initially to service the “Smart” (SMBus) battery charger market. (These batteries contain a “gas gauge” that communicates critical information between the pack and the host.) The SMBus protocol had become standard in the laptop computer industry and was rapidly spreading into other markets where sophisticated power control was important. This technology is now common in medical devices, military applications, industrial applications, safety and security equipment, and continues to be a core business for our company. From our initial success with smart batteries, we broadened our scope to include chargers for all small and mid-sized applications. We now carry an extensive line of single-bay, double-bay, and multi-bay chargers for all major rechargeable chemistries. Using the model explained below, we can rapidly fill your charger needs with a quality product at an attractive price. To fill out our product line, we also source a number of standard chargers from our off-shore partners. These include units for AA, AAA, and 9V rechargeable packs. Because we have thoroughly tested and vetted these designs, you are assured of the same consistency and quality found in our native products. Our business model is designed to bring maximum benefit to small- and mid-sized OEMs. We do this in a number of ways. Our expertise in batteries and chargers is a natural complement to any company that does not have such experience on-staff. Our designs are “platform based” so that they can usually be immediately configured to match most applications with little or no customization. We use this approach in our electronics, our plastics, our cables, and our packaging. By producing these basic charger platforms off-shore in large volumes, we keep our costs low and can pass that savings on to our customers, even in small volume applications. Since we maintain regulatory certifications on our platforms, our customers do not have to bear the considerable costs and hassles of acquiring their own agency approvals. As part of our ISO 9001 certified quality system, we maintain lot-traceability and perform regular factory audits of our suppliers. Since the associated costs are amortized over our entire product line, each of our customers receives predictably high quality at an affordable price. In addition to our own designs, we source some of our simpler chargers directly from off-shore manufacturers. In these situations, we add value to our customers by providing JIT (Just In Time) inventory control and lot sampling in addition to traceability and factory auditing. Our charging capabilities cover a broad range from standard packs to completely custom batteries.